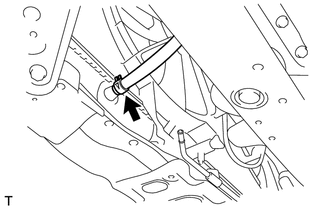 (a) Disconnect the outlet reserve tank hose from the radiator. (a) Disconnect the No. 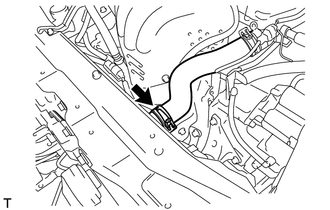 1 radiator hose from the radiator. (a) Remove the No. 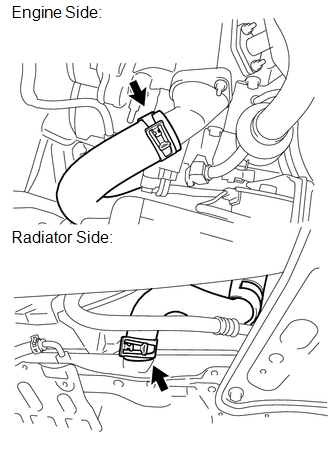 2 radiator hose. 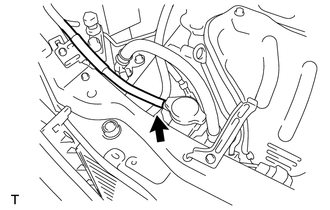 (a) Disconnect the inlet No. 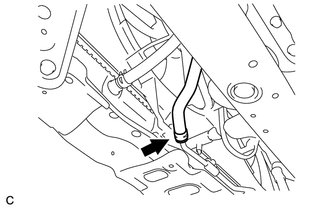 1 oil cooler hose from the radiator. (a) Disconnect the outlet No. 1 oil cooler hose from the radiator. 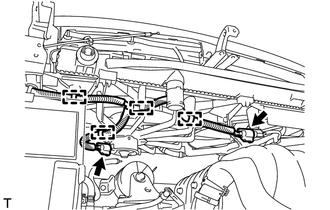 (a) Disconnect the hood lock control cable clamp and remove the 5 bolts and upper radiator support. 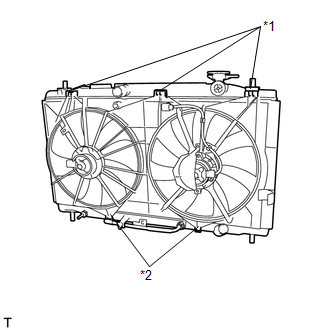 (a) Remove the 4 bolts and separate the cooler condenser assembly. (a) Disconnect the 4 wire harness clamps and 2 connectors. 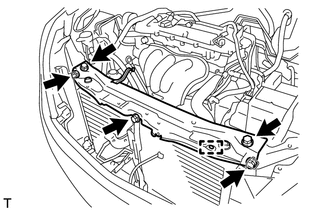 (b) Remove the radiator assembly and fan assembly with motor. 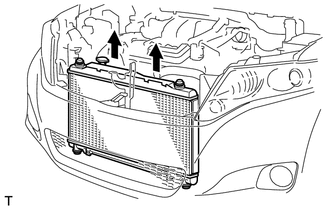 Do not apply any excessive force to the cooler condenser assembly or pipe when removing the radiator assembly. 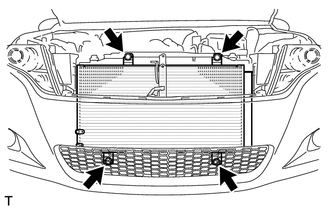 (c) Remove the 2 radiator support cushions and 2 lower radiator supports. (d) Release the 3 snap fits and pull up the fan assembly with motor from the radiator assembly with the 2 guides to remove the fan assembly with motor.